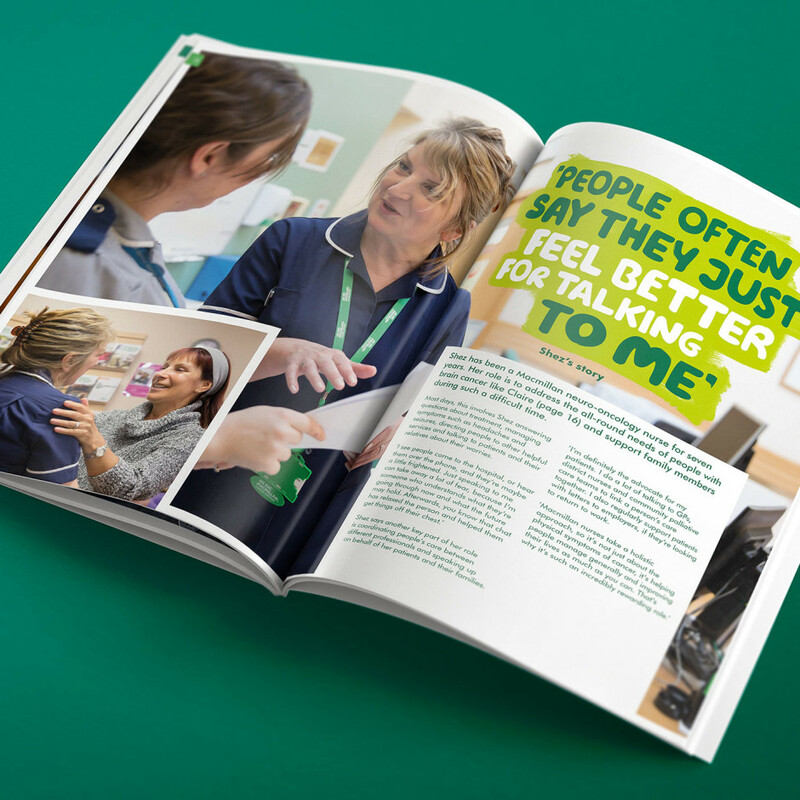 Macmillan Cancer Support are one of the largest and most well-known charities in the UK, reaching and supporting millions of people affected by cancer every year. 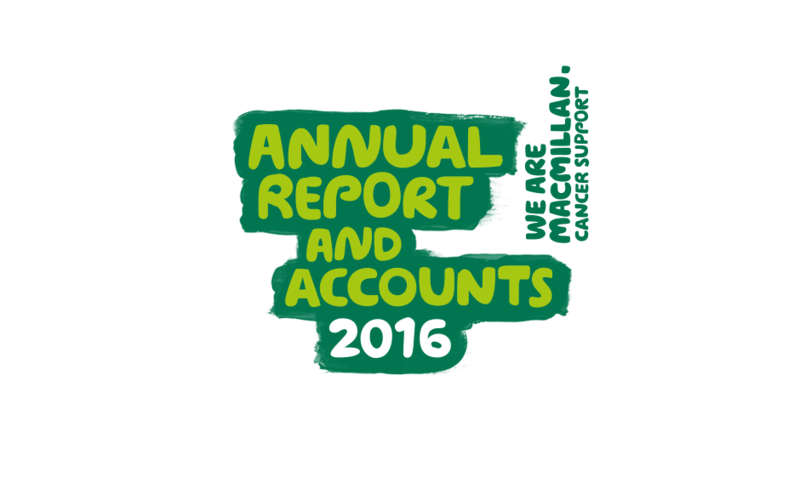 Following a successful year in 2016, and with their in house creative studio at full capacity, Macmillan required a design studio to work closely with them to create their notoriously complex annual report and accounts document. 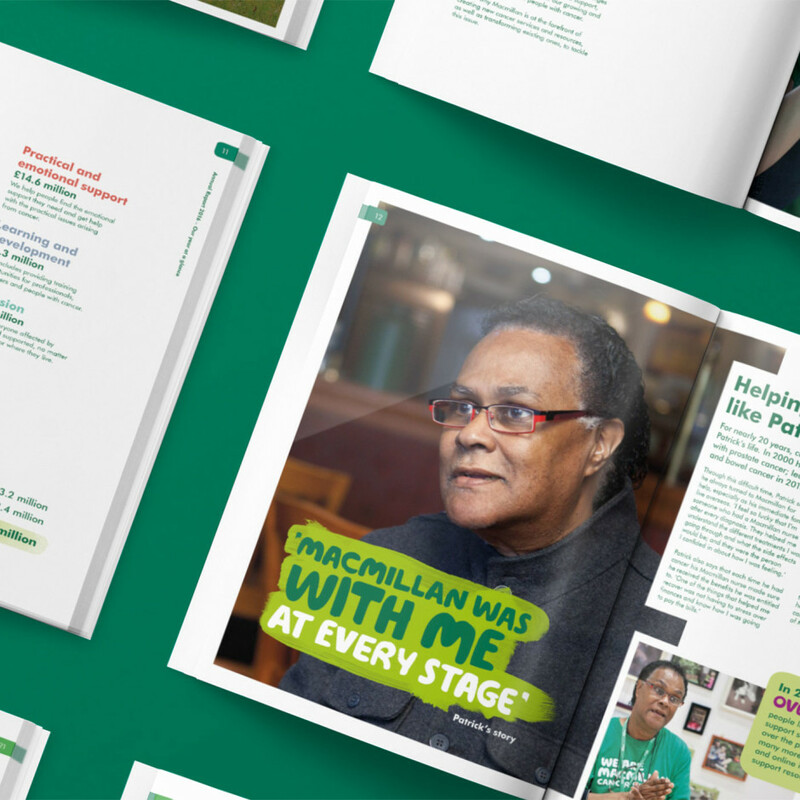 Working alongside the Macmillan team and following brand guidelines and prior knowledge of the brand, we were able to create a vibrant and clean layout structure – accented with bold colours, paint panels and dynamic portrait photography. 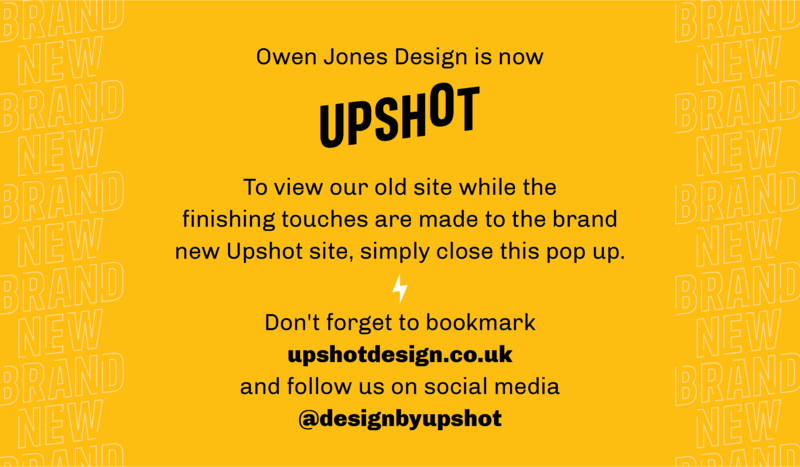 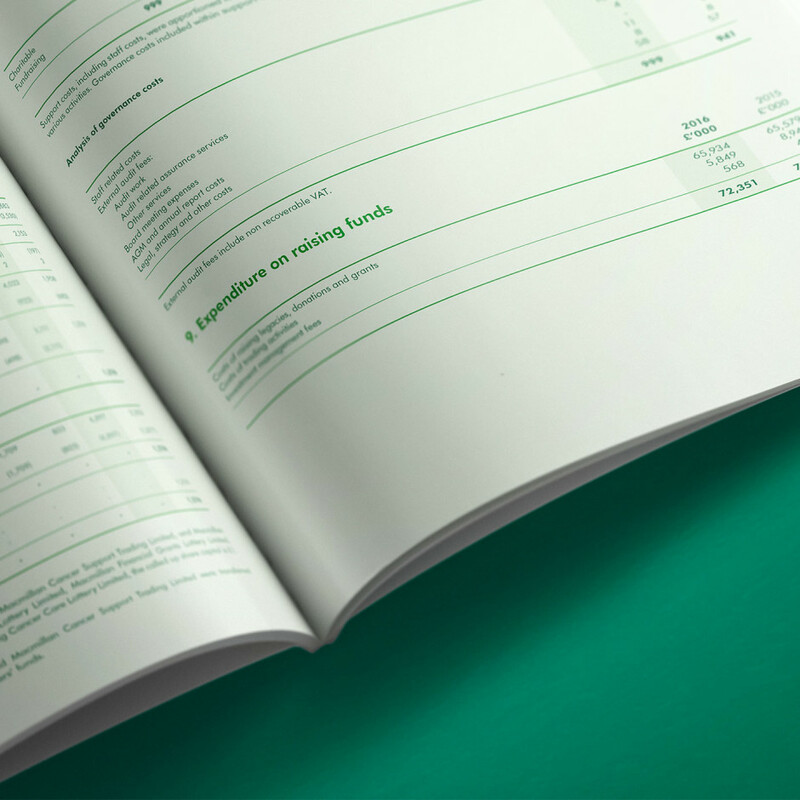 The final result, a whopping 84 pages, took several months to refine – particularly the stringently governed accounts sections – eventually being published as a tactile printed A4 book as well as a digital download version. 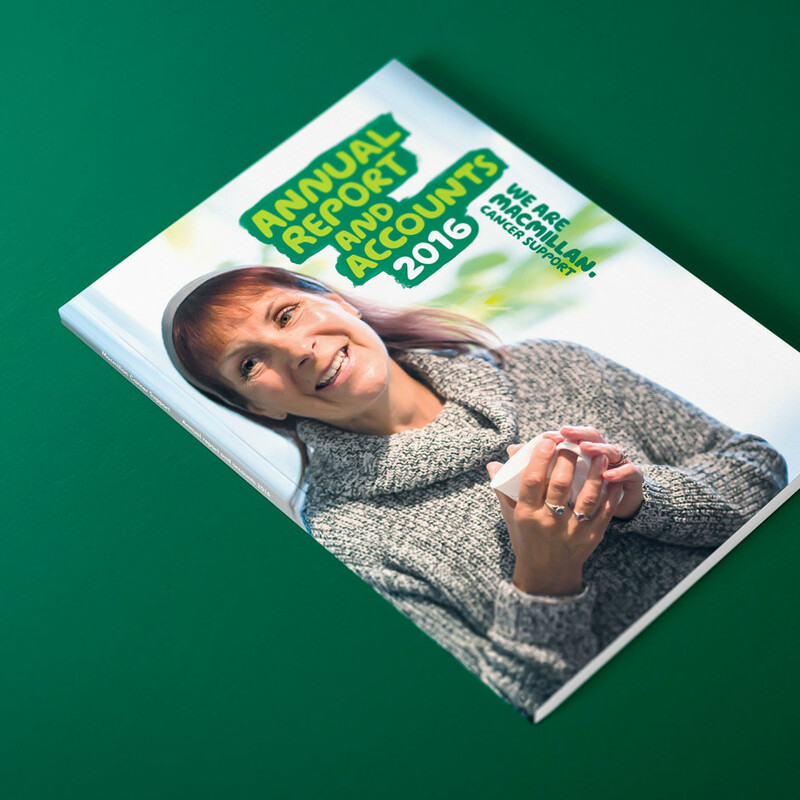 Supporting materials included a smaller succinct overview (also printed) and collateral for the upcoming AGM where the report was to be unveiled. 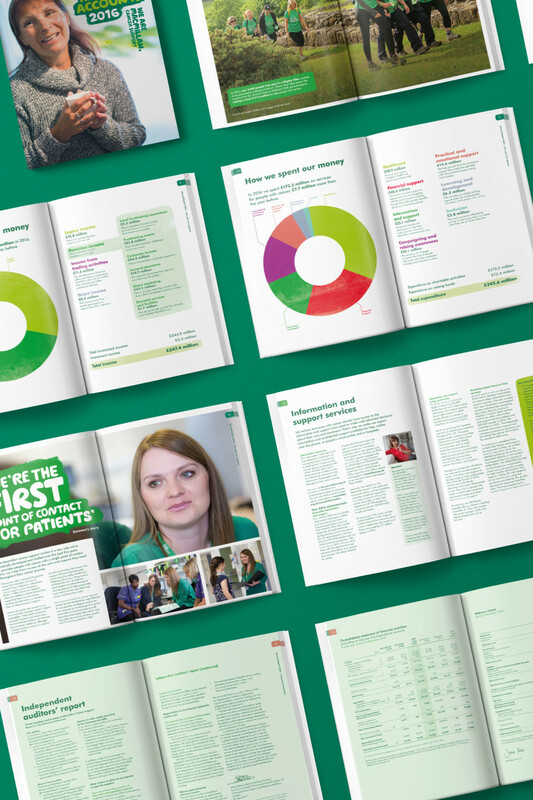 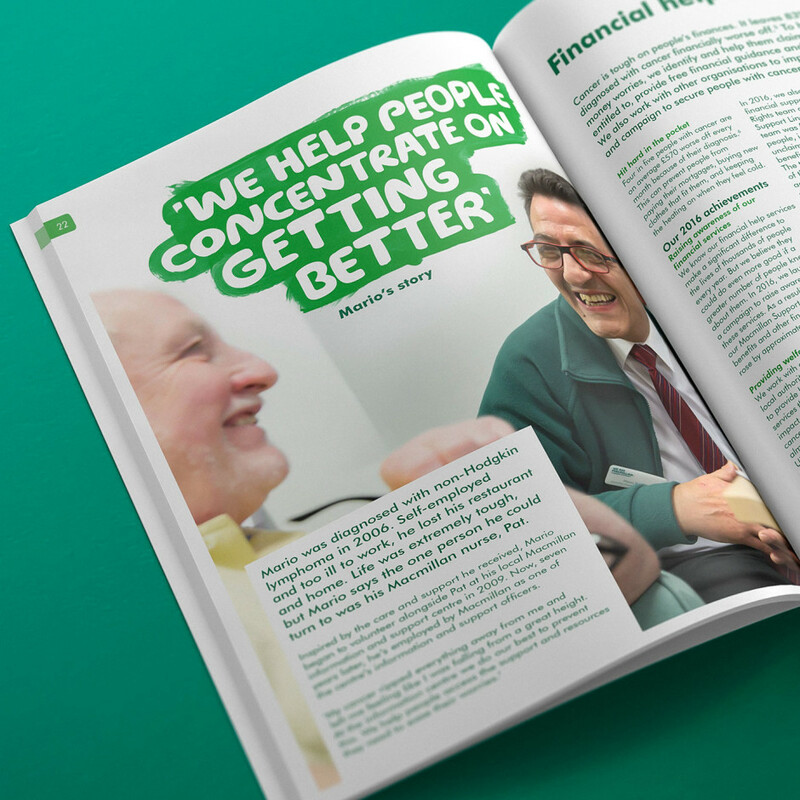 Macmillan required a design studio to work closely with them to create their notoriously complex annual report and accounts document.